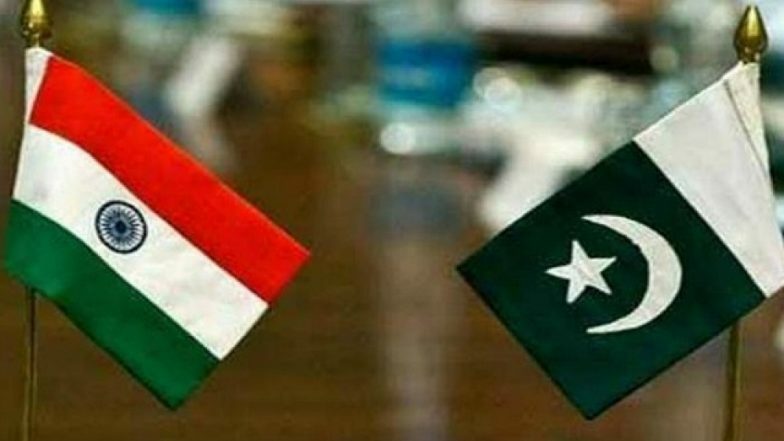 Islamabad, March 28: Pakistan on Thursday said it has examined 22 "pin locations" shared by India but found no terror camps and claimed that there are no links to nail 54 people detained in connection with the Pulwama terror attack as it shared the "preliminary findings" with New Delhi. Pakistan is willing to allow visits, on request, to these locations, the Foreign Office (FO) said in a statement. "While 54 detained individuals are being investigated, no details linking them to Pulwama have been found so far," it said. "Similarly, the 22 pin locations shared by India have been examined. No such camps exist. Pakistan is willing to allow visits, on request, to these locations," the FO said. It said that in consistent with its commitment to cooperate, Pakistan on Wednesday shared "preliminary findings" of its investigations with India along with a set of questions. Pulwama Terror Attack: Imran Khan Asking For Proof to Probe Pakistan's Role is Lame Excuse, Says MEA. "Subsequently, the diplomatic corps in Islamabad was briefed as well," the FO said. India handed over the dossier to the Acting High Commissioner of Pakistan in New Delhi on February 27 with specific details of Pakistan-based terror group Jaish-e-Mohammed (JeM)'s complicity in the Pulwama attack that killed 40 CRPF personnel on February 14 and the presence of JeM terror camps and its leadership in Pakistan. Sam Pitroda Stirs Row on Pulwama Terror Attack, Says 'Cannot Blame Entire Pakistan If Some People Attacked'. The FO said soon after receiving the dossier, Pakistan constituted an investigation team, detained a number of people for investigation and initiated work on the technical aspects of social media content, a main basis of the Indian documents. The Indian dossier contains 91 pages and six parts, out of which only part two and three pertain to the Pulwama attack, it said. "Other parts are generalised allegations. Pakistan is focusing on those parts which relate to Pulwama incident," it said. The FO claimed that during the course of investigations, all aspects of the information provided by India have been thoroughly examined including the "confessional" video of Adil Dar, "claim" of responsibility for the attack, Whatsapp and Telegram numbers used to share videos and messages in support of the Pulwama attack, list of 90 individuals suspected of belonging to a proscribed organisation and 22 pin locations of alleged training camps. Service Providers have been requested for data including relevant details of activities and contacts of the GSM (Global System for Mobile communications) number provided by India, it said. A request for assistance from Whatsapp has also been made to the US government, it said, adding that the said additional information and documents from India would be essential to continue the process of investigations. "Pakistan remains committed to taking this process to its logical conclusion," the FO added. Tensions between India and Pakistan escalated after the suicide bomber of JeM killed 40 CRPF personnel in Jammu and Kashmir's Pulwama district on February 14. India launched a counter-terror operation against a JeM training camp in Balakot. The next day, Pakistan Air Force retaliated and downed a MiG-21 in an aerial combat and captured its pilot, who was handed over to India on March 1.